Apple today released macOS Mojave 10.14.3, the third update to the macOS Mojave operating system that first launched in September. macOS 10.14.3 comes six weeks after the launch of macOS Mojave 10.14.2, a bug fix update. 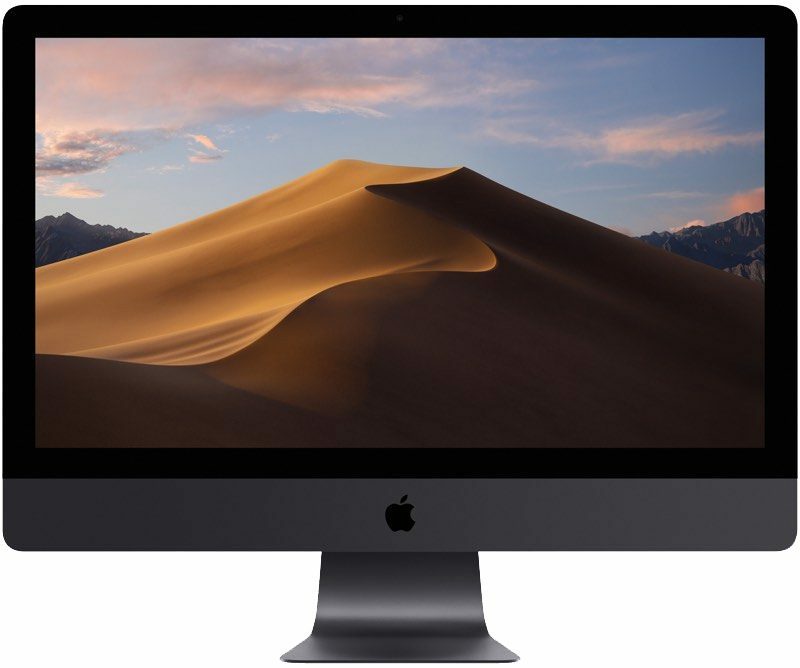 macOS Mojave 10.14.3 can be downloaded by going to the "Software Update" section of System Preferences, a new installation method that was introduced with the Mojave update. macOS Mojave 10.14.3 brings performance improvements and bug fixes for issues discovered since the launch of macOS 10.14.2. During the beta testing period, we didn't find any major feature changes. According to Apple's release notes, the update improves the security, stability and compatibility of your Mac and is recommended for all users. Additional details on the macOS Mojave operating system can be found in our dedicated macOS Mojave roundup. What I love is the quality of Mojave! Like how I go into Software Update in System Preferences and it spins, saying it’s checking for update, then finally comes back and says 12.4.2 is the latest. Close the window, go to System Preferences (which says there’s an update available in the Apple menu), and it spins and finally says Here’s a update! And after I select Download & Install, the Software Update page spins and comes back and says There’s an update! for the update I just downloaded! The same with the Mac App Store with Mojave. I know there’s an update for a piece of software available, I go to MAS Update page, it says there’s nothing, I hit Cmd-R once…twice…three times, and…. This used to be so much easier. Even back with OS 9. Confirmed. The 2minute plus cold boot delay when booting from external SSD USB is fixed with this release. So I too had the same problem with the Combo. Unpackaged the file and looked at the Distribution file. In the Volume check, it references previous build numbers of Mojave, if your build number is not on the list it stops the install with the error we are seeing. I can now install the Combo. I had a look at the Distribution file of the Delta update and that has considerably more build numbers in its list, so I wonder if the developers got them mixed up. Will be waiting for the Combo. How long until the combo is up? There won't be any 'web' drivers. Nvidia doesn't have the same access to the OS that they used to. They have to go through Metal 2 to get it to work. Rumor has it that they have submitted their 'driver' code to Apple, but Apple refuses to green light it. Seems engineers are wanting to, but someone in management is holding it up over bad feelings towards Nvidia. Too bad Mac users like me are being shafted and I'm seriously considering buying a desktop PC to do my 3D work after being a Mac only person since 1988. I hate Windows, but I love my 3D and with Nvidia, my renders are 1100% faster. I have one render that takes over 3 hours without it and 11 minutes with it. Apple clearly is dropping the ball on this and doesn't care how their customers feel about it. If your render is 1100% on a Nvidia gpu I would say there is something wrong with the program you are using anyway. AMD cards might be not as fast as Nvidia at the same price, but not 1100% slower. Yeah, I remember those detailed notes, too. Leopard updates listed each application within the OS that had specific updates UNDER the application (example ('https://support.apple.com/en-us/HT1994')). I think Apple stopped providing those uber-detailed release notes around Snow Leopard (example ('https://support.apple.com/kb/DL1399?viewlocale=en_US&locale=en_US')). What I 'love' (not) is that you can't even select the text of the URLs in the dialog box to easily go see what the update is about. Seems aside from the lack of details, they don't even want you to go read the ultra-limited notes that there are. I think all these panels have become sloppy web-apps that have caching issues. The app-store, app-updates, etc. are all a big mess. Now four Macs updated without a hitch. Apple has re-released the combo updater with an updated distribution list of compatible builds -- now includes 18C54 so it will run on 10.14.2.